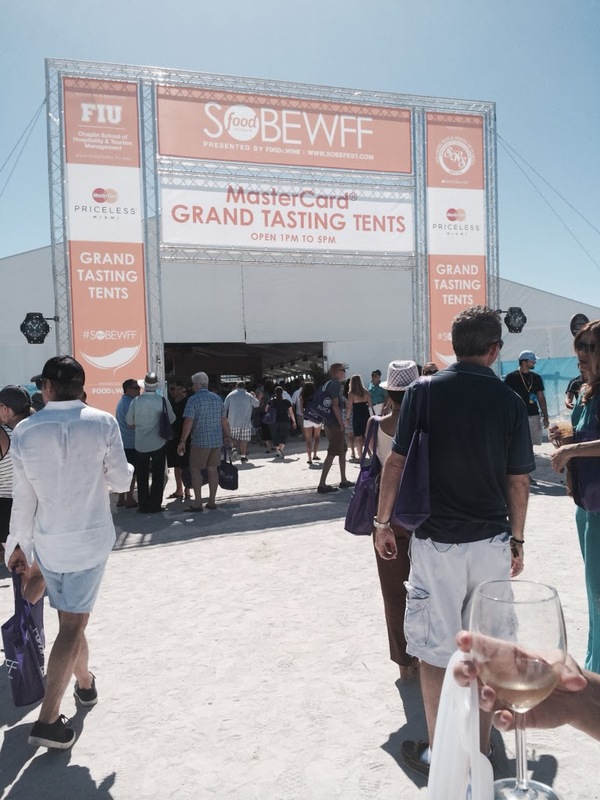 I never thought I’d ever make it to South Beach Wine and Food Festival. That’s the big time… But guess what?? I did! 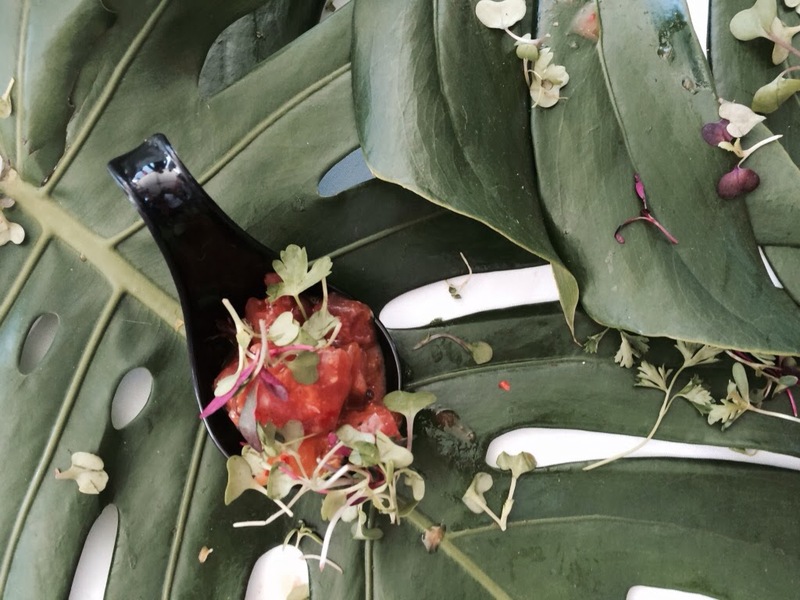 Anolon Cookware invited me to be their guest blogger at the Grand Tasting! 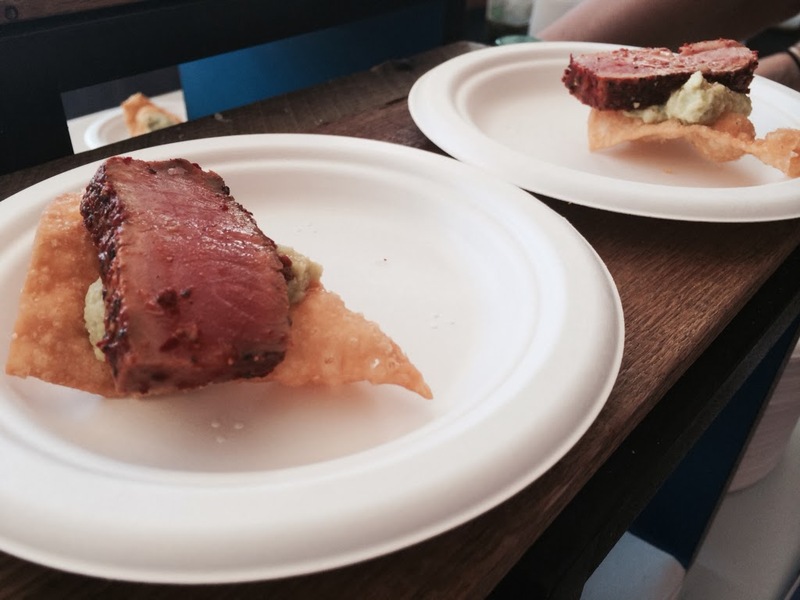 I got to try great food and see cooking demonstrations with some of the best chefs. 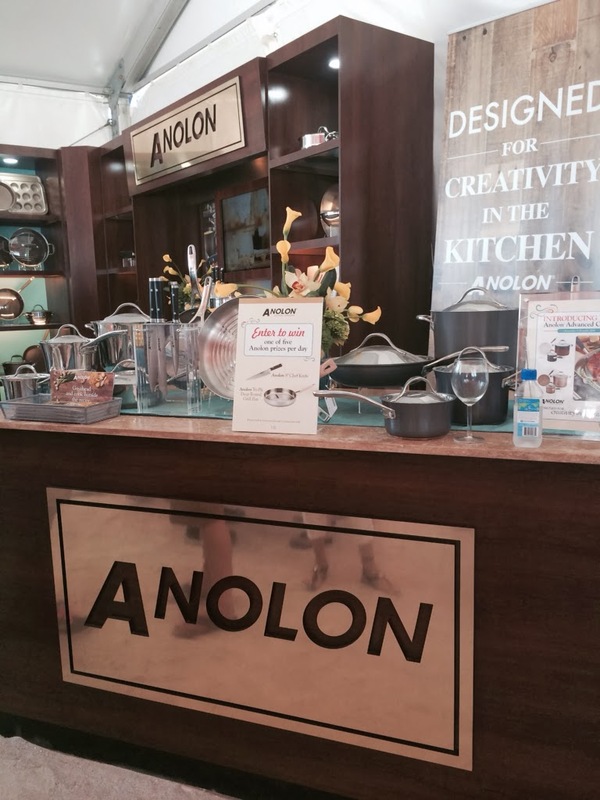 Anolon was one of the main sponsors of the event and was the featured cookware in all of the celebrity demonstrations. Pretty freakin’ cool to see chefs like Emeril Lagasse, Daniel Boulud, and Jose Andres up close in their element: the kitchen. What’s even cooler was that the other blogger that Anolon invited out for the day just so happened to be my friend, Julius! Julius is a food photographer and world traveler! He blogs over at Droolius. You have got to check out his work; he is seriously talented and makes his way to all the very best foodie spots! This was a full day event, starting at 11am with lots of demos, sips, and bites at the Whole Foods Grand Tasting Village. This was kind of the “pre-party” before the party. I wandered around in the blazing heat, sweating up a storm, wait for that big tent to open its doors. The Mastercard Grand Tasting Tents opened at 1 and I was happy to finally be able to get in and see the people who brought me there: Anolon! They were set up right at the entrance cooking Medianoches with Mango-Mustard Chutney on their Tri-Ply Clad Round Grill Pan. 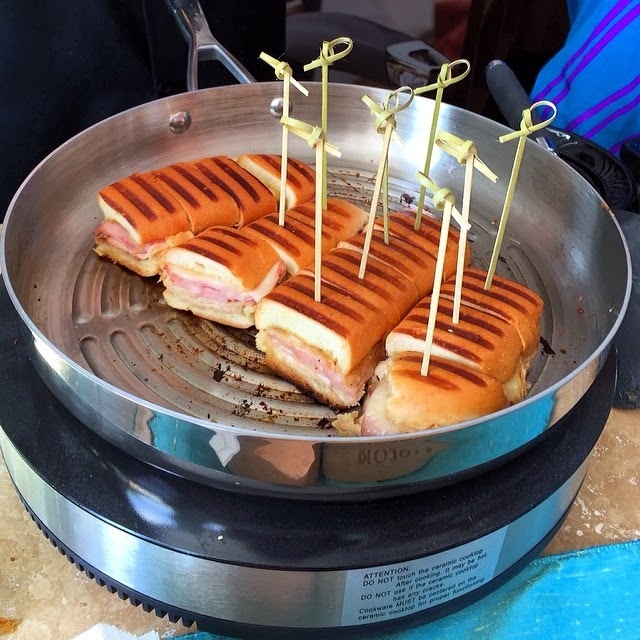 Anolon was displaying their best and newest products and signing people up to enter their Sizzlin’ South Beach Giveaway to win one of four 11-piece sets of the new Analon Advanced Bronze collection. These pots and pans are so nice; I would love to have the entire set! You can still enter to win on their Facebook page until Sunday, March 9th at 11:59pm. The winners will be announced on Facebook on Monday, March 10th. 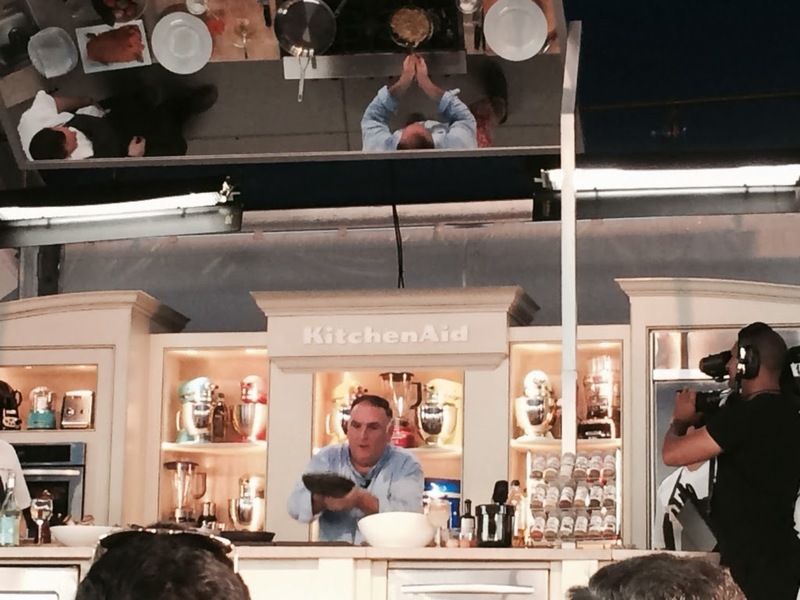 All of the celebrity chefs were using Anolon’s beautiful cookware during their cooking demonstrations. There was a great lineup throughout the day: Tyler Florence, Rick Bayless, Martha Stewart, Ming Tsai, Rachael Ray, Daniel Boulud, Marcus Samuelsson… There was also a charity cooking competition between Miami Heat players Chris Bosh and Shane Battier, and a discussion panel moderated by Anthony Bourdain. I watched Emeril make fish tacos with local Pompano and grill up ginormous prawns sizzling with spice. Though he did not say “Bam!” once during the demo, he was still super awesome to watch. The best demo, though, wasn’t until the very end of the day. 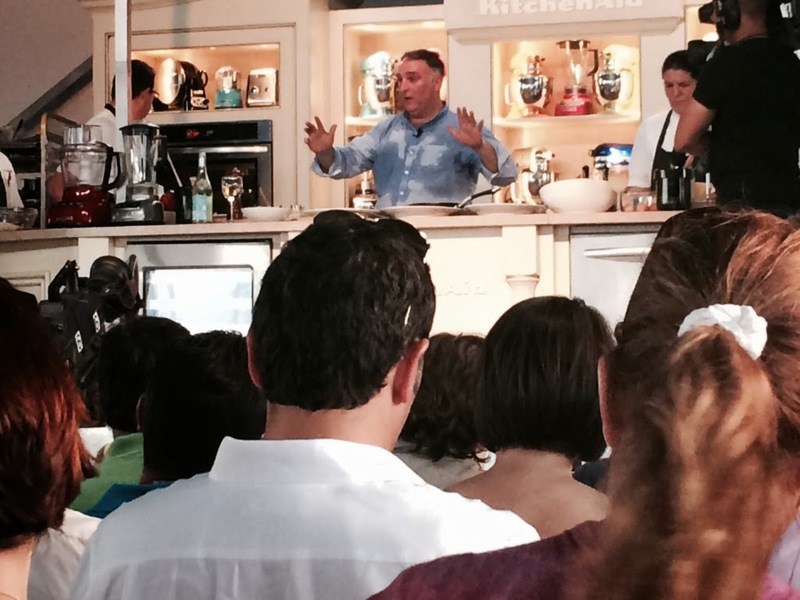 It was my favorite chef, someone I’ve been anxiously waiting to meet… Jose Andres! He made a zillion different egg dishes, all of which turned out immaculate and looked delicious. Pisco sours, frittatas, omelets…not to mention throwing hard boiled eggs out into the audience every 5 seconds. His energy was so contagious, I could not have been in a better mood after watching him put on that show and then meeting him and getting a chance to tell him how much I’ve enjoyed his food and look up to him as a chef. In between watching the demos, Julius and I strolled around the tasting tents getting our grub on! Since I don’t go to Miami often, a lot of the restaurants were new to me, so it was fun to taste food from places I’ve never been. Some of my favorite bites of the day were the Yellowtail Sashimi with Jalapeno from Katsuya at the SLS Hotel in South Beach, Spicy Bigeye Tuna Tartar with kimchee vinaigrette from A Fish Called Avalon, Chili Spiked Tuna with Edamame Puree from Catch Grill & Bar, Hamachi Ceviche with micro cilantro, aji limo, red onions, leche de tigre sweet yams and canacha, and Seafood Trigotta with wheat risotto, seafood sauce, shrimp, micros, parmesan cheese and parsley from Rizio’s Peruvian Cuisine; and the parmesan polenta with mushrooms and black beans at the Goya table. I met Lee and Cassie, contestants on The Taste and also took pictures with Chef Ludo and Chef Marcus, two of the judges; hung out at the Flavour Gallery with its awesome founder Erin; enjoyed delicious pasta dishes at Barilla’s tent in the Tasting Village; and saw lots of fellow bloggers and people I’ve met at other foodie events. All in all, it was an unforgettable experience. Only to be followed by the absolute worst drive home of my life. Actually, it wasn’t a drive. It was more of a 3 1/2 hour wait before I even got onto I-95. I don’t want to talk about that. Thank you so much to Anolon Cookware for inviting me to be their guest at Saturday’s event! Don’t forget to visit them on Facebook and enter to win an 11-piece set of Anolon Advanced Bronze cookware! Follow Anolon on Twitter and Pinterest, too! 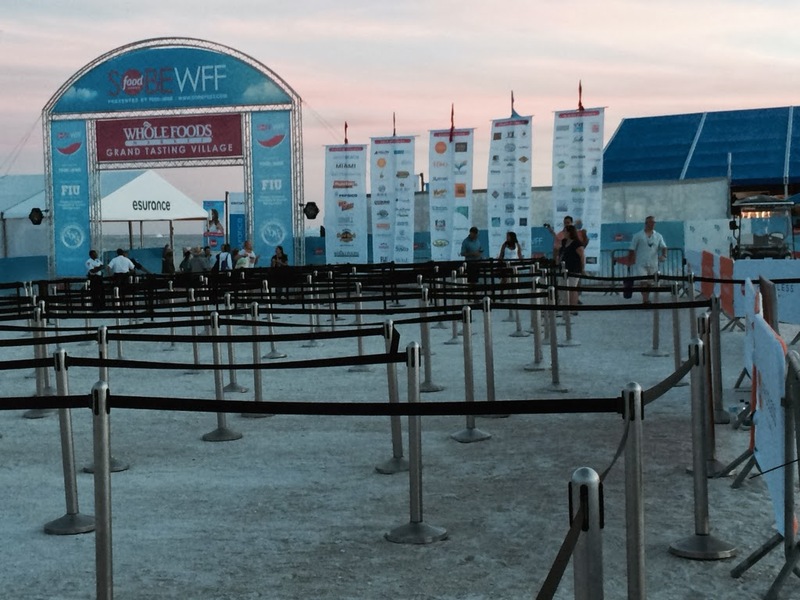 Disclaimer: Anolon provided me with a free ticket to the Whole Foods Tasting Village and Mastercard Tasting Tents. I was their guest blogger for the day, posting updates on social media throughout the day. I will also receive one free piece of cookware of my choosing. As always, all opinions are my own.